Irene Wagner (Ingrid Bergman) is married to a scientist named Albert (Mathias Wieman), but she’s been stepping out on her marriage, carrying on an affair with a man named Erich (Kurt Kreuger). As if her own anxiety over the situation wasn’t causing her enough stress, Erich’s ex-girlfriend comes a-calling. Johann (Renate Mannhardt) has learned of the affair and has decided to blackmail Irene, making matters even worse for the tortured Mrs. Wagner. 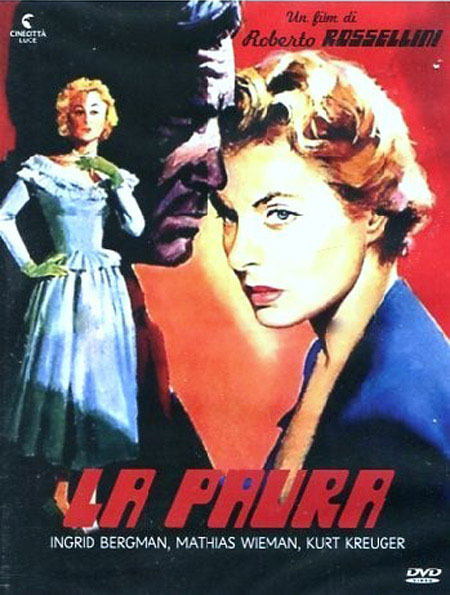 Known simply as Fear in English, 1954’s La paura was directed by Roberto Rossellini. Roberto Rossellini’s name is practically synonymous with quality filmmaking. He’s well-loved and -respected among cinephiles, and is one of the best-known names of international cinema. As popular as Rossellini is among movie buffs, I’ve rarely seen discussion of La paura around the blogosphere, so when I stumbled across it on Hulu (dubbed in Italian, with English subtitles), I decided to give it a watch. Ingrid Bergman, always a stellar performer, delivers a gripping portrayal of Mrs. Wagner. We see her sort of descend into madness as she is subject to blackmail. Her husband’s suspicions and her own secrets weigh heavily on her conscience, and Bergman brings that inner turmoil to life with great success. 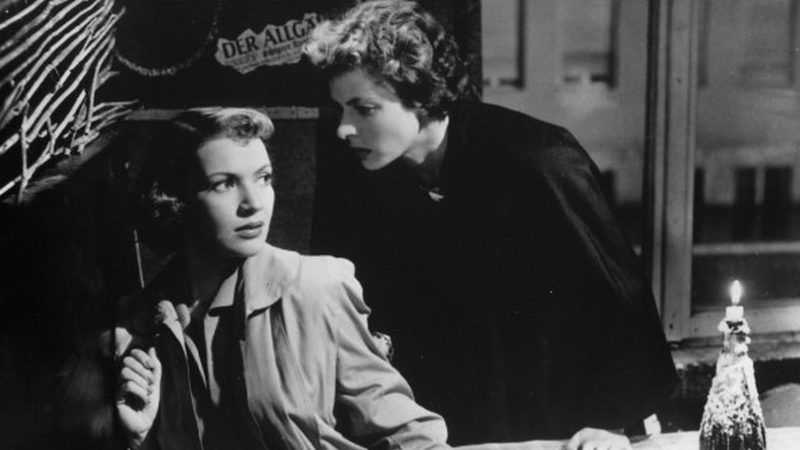 Some of Bergman’s best scenes are shared with Renate Mannhardt, playing the ex-girlfriend of Mrs. Wagner’s paramour. Their confrontations are charged with emotion and tension, making them some of the film’s most gripping sequences. The tone of La paura is quite melodramatic, between the performances, photography, and score. Since the storyline deals with a love triangle, adultery, and guilt, the mood of melancholy-tinged melodrama is highly suitable to the film.